The university administration had informed the students of the measure for 'mandatory attendance' last month, a move has been contested by several teachers and students. 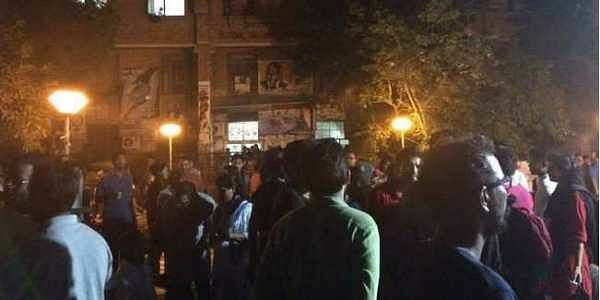 NEW DELHI: The Jawaharlal Nehru Students' Union (JNUSU) on Sunday called for a boycott of the 'compulsory attendance' decision of the varsity administration, urging students to not sign the attendance register when the classes resume on Monday -- the first day of the winter semester. "Each of us must ensure 'total boycott'. Following the signature campaign initiated by the JNUSU, following which more than 2,500 signatures have been collected, we must ensure a total boycott of this arbitrary 'farman' (decree)," the students' union said in a statement. The measure is scheduled to come into effect from the winter semester. The university administration had informed the students of the measure for 'mandatory attendance' last month, saying that the decision was made in the Academic Council (AC) meeting held on December 1. The move has been contested by several teachers and hundreds of students, who have alleged that no such measure was approved during the said meeting. "The last Academic Council never took any such 'decision', nor the attendance system was even part of the AC's agenda," the JNUSU said. "The passing mention by Vice Chancellor about 'compulsory attendance' for School of Languages, BA students in the context of addressing drop-out problem -- which JNUSU and others instantly opposed -- is now bizarrely turned into a 'decision' of the AC and declared as a policy for the entire university. "Attendance was never mandatory in JNU because academics here means engaging, critiquing and thinking; not mere obedience," it added. The student representatives are scheduled to meet the varsity head M. Jagadesh Kumar on Monday and will hand over to him a formal denunciation of the attendance order bearing signatures of 2,500 students.